Here we are going to give you the complete meaning of the mirror hour 16:16. This double hour has been shown to you by your subconscious and has led you here to deliver a message. When we see a mirror hour like 16:16 it is often a sign sent to us by our angel, although this is not the only possibility. It could also be a spiritual entity trying to communicate, or it could just be your subconscious attempting to tell you something important. The notion of synchronicity developed by Carl Jung is that it is a personal event which affects the person who observes it. 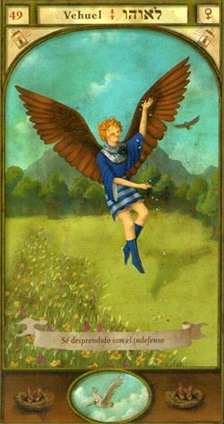 To help you to better understand the meaning behind 16:16 we are going to give you an interpretation of this mirror hour using the guardian angels as well as numerology and the cards of the Tarot of Marseilles. When you have read up on this hour’s different characteristics, take the time to meditate upon what message it is trying to send you. By making an interpretation with the help of the works of Doreen Virtue we can see that 16:16 is a powerful sign! The angels are telling you that you should prepare for a major upheaval! Your legendary sense of pride may be about to suffer a blow. In short, there are clouds on the horizon. It is also likely that the desire for solitude is growing within you. You have a need to be alone while you ride out the storm. 16:16 gives clear indication of a setback or even a failure, so if you are pursuing something, be it romantic, professional, or financial, you unfortunately risk coming to a dead-end on this path. One of the things standing in your way in life is your pride. You certainly have the right to be proud of yourself but you should never put other people down! This can be looked upon quite badly by society and you risk finding yourself isolated. You are a person of great value, but be aware that you’re not the only one! The guardian angels are using 16:16 to guide you towards a new phase of your life, because the one that you have started for yourself may not be all together positive. Sometimes we need to tear something down before we can build it back up again! This is a kind of purification ritual which allows us to construct more solid foundations. If you are willing to initiate these changes then do not hesitate to ask for help from the 72 angels. They will give you aid during this rather unstable period of your life. The guardian angel corresponding with 16:16 is Vehuel whose period of influence is between 16:00 and 16:20. He is the symbol of notoriety and prestige! He fills you with wisdom and guides you towards enlightenment. He makes it easier to communicate with the spirits of the deceased by giving you a soul which is particularly sensitive to the different planes of spiritual existence. He protects you from the hypocritical and selfish people who may appear in your life. He drives away your anger and helps you to face your challenges. He will be an important source of inspiration for you if you progress in the field of writing. What does 16:16 mean in Numerology? 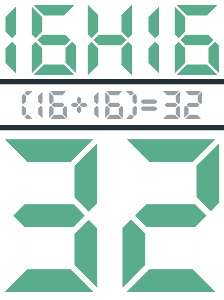 The total value of the mirror hour 16:16 is 32 which indicates that you are very skilled in the realm of creativity. You like to express yourself in different ways and your natural curiosity pushes you to explore many different fields. You have a limitless amount of inspiration. Do not hesitate to make use of it to share with the world what you want to say! You are an optimistic person and this helps you to form stable relationships whether it be with lovers, friends, or co-workers. You have a sense of adventure and friendship. You are like a fish in water when you are in a fraternal relationship as long as you are given enough freedom. But the mirror hour 16:16 with its value of 32 also gives you great information about your professional life. You are going to have to show courage, but more importantly than that, you are going to need to show perseverance. 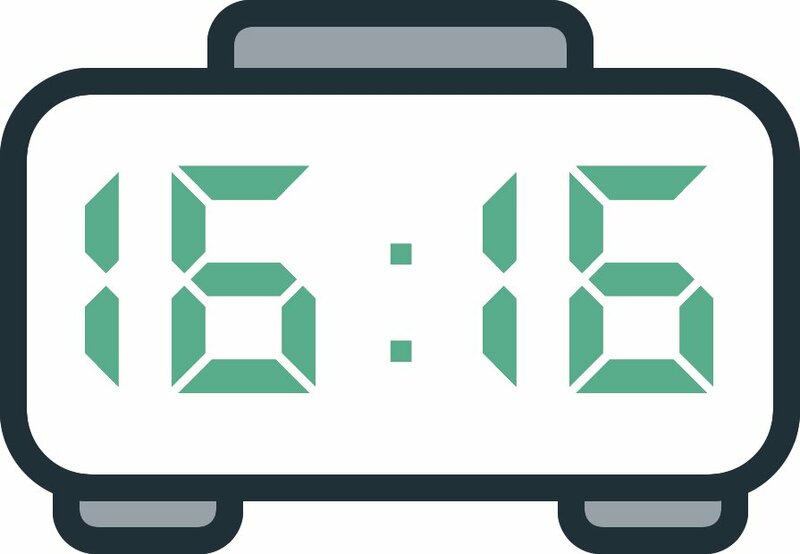 If you see 16:16 regularly, that means that you are not currently where you should be in your profession. This could be down to many things: overwork, low morale, or even burnout. When we are doing badly, we do not take time to reflect and often continue to head in the wrong direction. You should compose yourself and set aside your bad habits, as well as any possible addictions. This will help you to do better in your life. 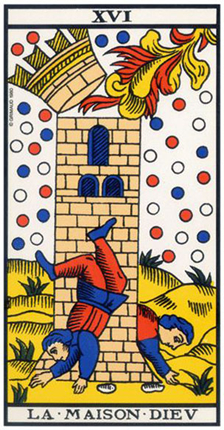 The Tarot card corresponding to 16:16 is the Tower! This Arcanum is very meaningful in a reading and is without any doubt a warning! You are going to face a big problem. The Tower indicates the end of something — an upheaval which may turn out to be ruthless! This phase in your life has a change in store for you, that is for certain. But you will need to think things over first, although this may not always be the most obvious course of action! Even if this card seems negative, it sometimes heralds a change which is necessary for your improvement. Even if you feel deception or pain in the beginning, it is for your long-term benefit and balance that you take things back to the drawing board. You may face a period of instability. If you had some projects underway, then you are going to need to reassess them somehow. You will need to reconsider things before you take on whatever you want to do. Take this warning into account, or your next setback will be even more painful! In the realm of love, the Tower can have a double meaning. It could mean passion and love at first sight, but at the same time it could mean a break up or a series of arguments. Professionally speaking, it refers to major difficulties which may lead to the end of a project or a business venture. If you are currently in work, you should find another job before you are fired! In matters of money, this Arcanum indicates bankruptcy or a substantial loss. Be prepared for unstable finances in the future! Any comment on the 16:16 mirror hour? I feel like you just saw right through me. I beg you angel Vehuel, show me the way in any matter.